Lately I have been completely in love with the matcha powder I bought. 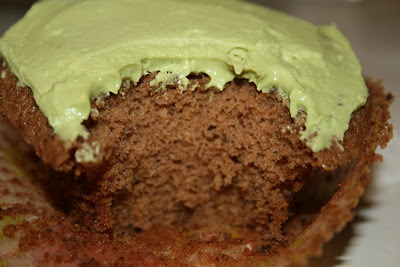 I have heard of matcha cakes and matcha frosting before and was compelled to try something. 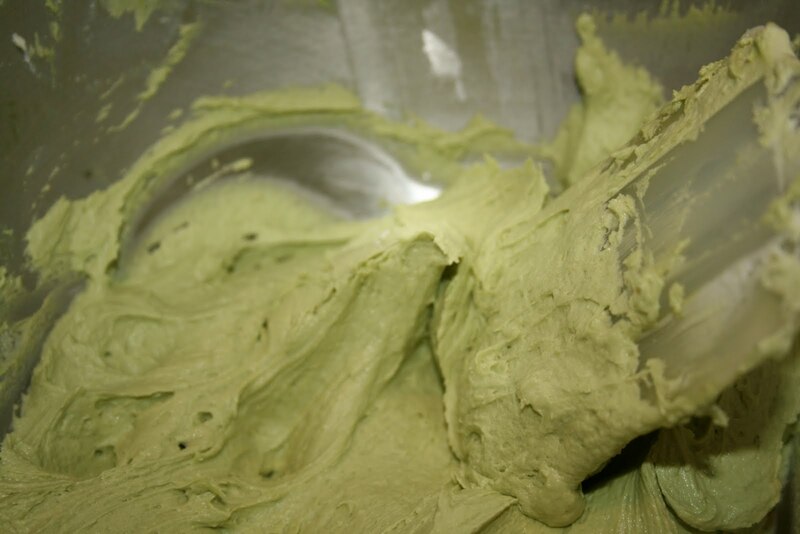 I figured buttercream icing is one of the easiest things to customize, so I decided to toss some matcha in and give it a try. WOW! It was so good! Not too sweet and the hint of tea made it kind of refreshing compared to typical vanilla frosting. 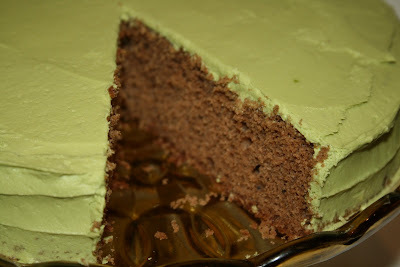 I tweaked the cake recipe too. I wanted to use melted chocolate instead of cocoa powder to be different. I've made lots of cakes with cocoa powder and this one was just tasty, I think texture was better, more moist and smooth. The color wasn't as deep, the flavor a tad lighter, but it was it was still unmistakably chocoate. Together, the cake and frosting were quite tasty, plenty rich and decadent without really looking that indulgent. I think people are used to seeing something nearly black and equating the color with chocolate richness. That is something I wanted to dispell here. This recipe makes a lot of cake, so beware. You will end up with 3 dozen cupcakes, 3 9' round layers or a large rectangular cake. 1. Preheat oven to 350F. Prepare 3 8" baking pans by greasing the sides and lining the bottoms with parchment. 2. Sift together flour, baking powder and salt. 3. 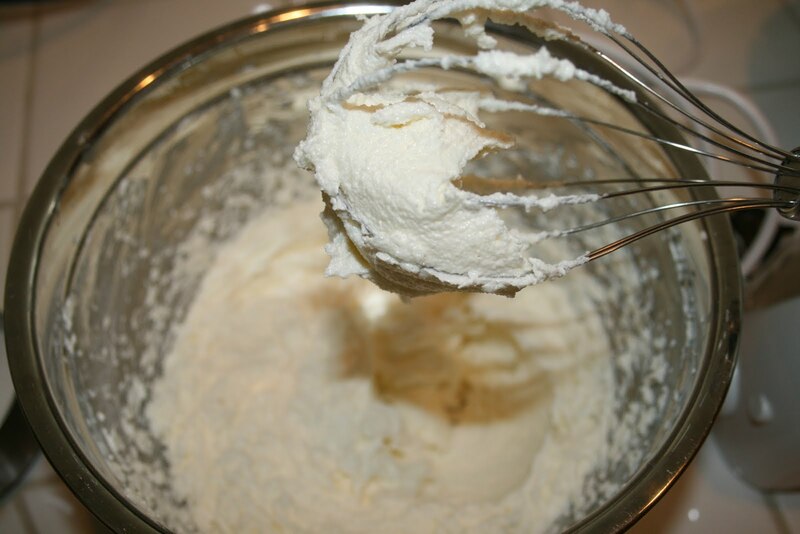 In a separate bowl, cream the butter until it is light and fluffy. 4. Melt the chocolate in the microwave by cooking in 30-second intervals and stirring. Allow to cool a bit. 5. 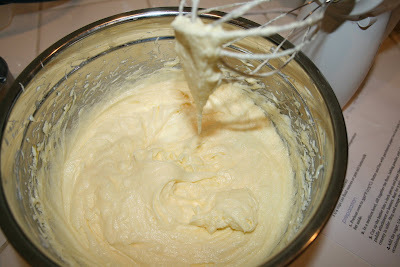 Add the sugar to the butter, 1/4 cup at a time and beat well after each addition. Scrape bowl sides occasionally. 6. 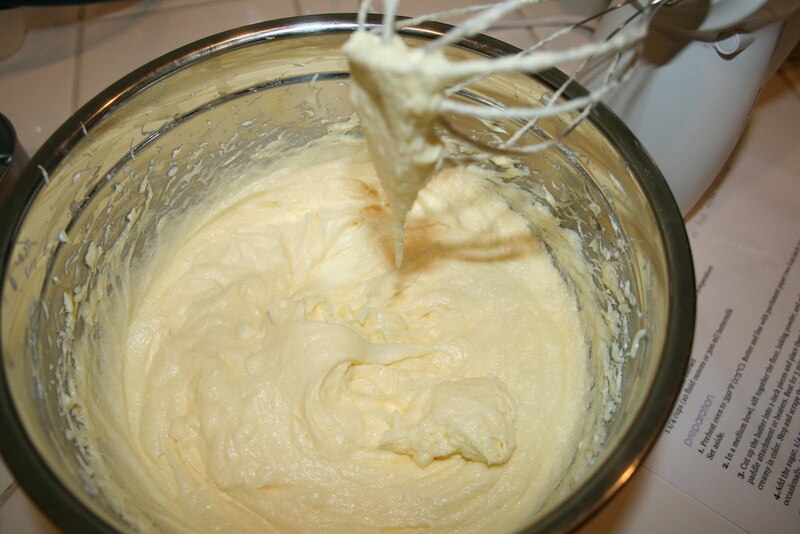 Add eggs, one a time to the butter mixture, beating until incorporated. 7. Stir vanilla into buttermilk. 8. 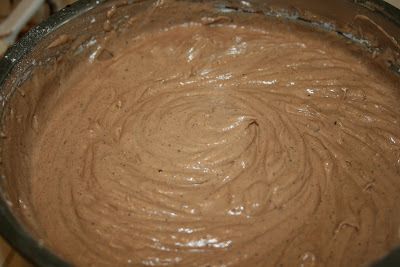 Combine cooled chocolate, buttermilk, butter mixture and about 1/2 cup of the flour mixture. 9. 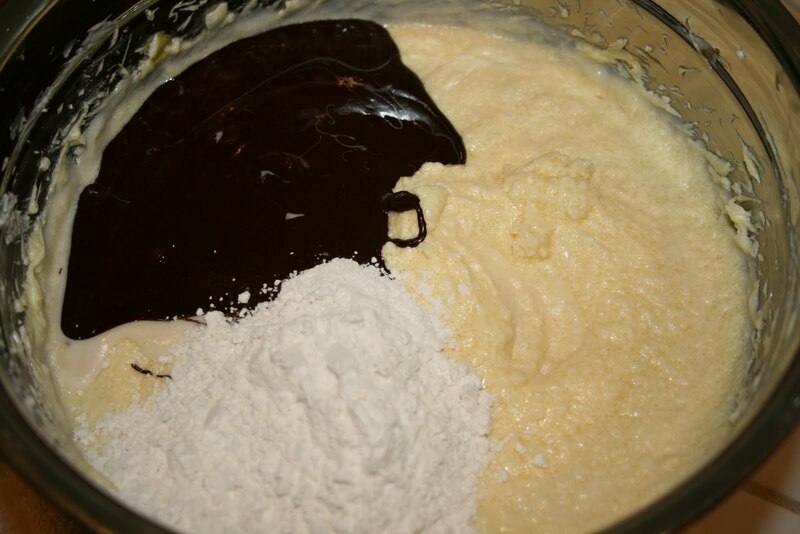 Beat until combined and continue adding the flour mixture in 1/4 to 1/2 cup intervals until all combined. 10. Pour batter into prepared pans and smooth out the tops. 11. Bake 32-37 minutes, or until a toothpick inserted in the center comes out clean. Mine took 34 minutes. 12. Let cakes cool in the pan about 10 minutes then tip onto a rack to cool completely. Note: For cupcakes, line tins with paper liners. Fill about 2/3 full (about a scant 1/4 cup will do great for this) and bake 16-20 minutes or until it passes the toothpick test. 2. 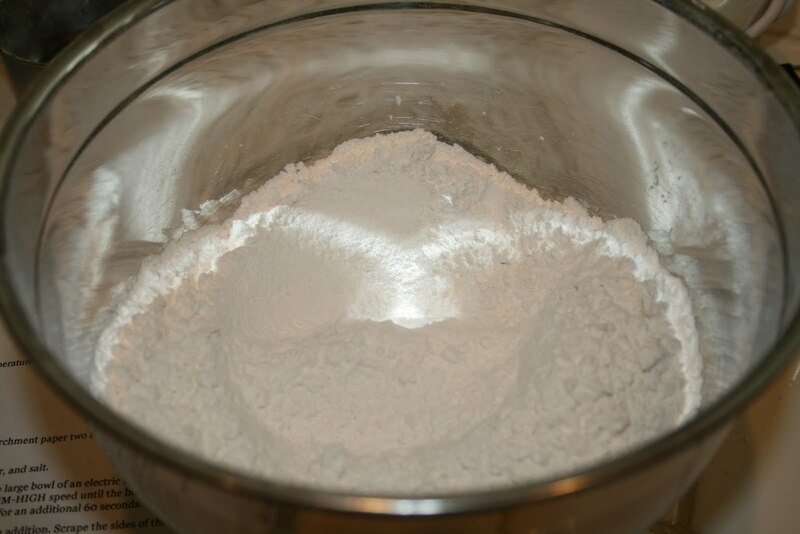 Add powdered sugar in 1 cup intervals. Scrape down sides and blend well after each addition. 3. Add matcha powder, milk, and vanilla and beat until completely combined and smooth. Scrape sides and beat again. 4. Frost large cakes with an offset metal spatula or put into an icing bag with a star tip to pipe pretty designs. 5. Store unused frosting in the fridge, covered. Mix up before use to restore spreadability.